Eighteen years ago I was a fresh faced university graduate with a Bachelor of Arts in English and Psychology and few job prospects. 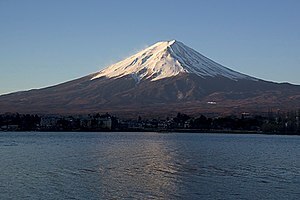 I loaded up a huge MEC back pack, a copy of the Lonely Planet: Japan and embarked on an adventure teaching English in Shizuoka, Japan for a year. It has struck me that many of the feelings I had as a twenty-something in a country where few people spoke my language and a place where cultural customs were unknown to me are hauntingly familiar to the way I sometimes feel as a forty-something new mother. Making new friends came pretty easily in Japan. Many of the people I met were in the same situation: they were there for a limited time, they spoke little Japanese (but rather lots of English), they were far away from their friends and family and they were also in need of companionship. Maternity leave is very much the same. The women you form instant and lasting friendships with have one important thing in common: they have babies. They are also home on leave and have days to fill, they are not working and they also have very little money so they too need inexpensive ways to fill these days. The camaraderie essential to coping with homesickness in Japan is equal to the fellowship of women who can help you cope with your raging hormones. Many of my friends in Japan were made because they spoke English fluently; and after a day of teaching ESL and talking very, very slowly it was refreshing to talk rapidly, colloquially, and idiomatically. Likewise, my mommy friends do not seem to be bored by talking about breasts, poop, or a plethora of other baby-related topics that other people would rather poke their eyes out than engage in a drawn out conversation about. Not long in to my stay in Japan there came to be many comforts of home that I missed. I then eagerly awaited for these items to arrive in treasured care packages from home. I received boxes packed with Kraft dinner, peanut butter and VHS tapes of Friends. In the first week after my C-section when it was almost impossible for me to get out of bed without a healthy dose of morphine, I was extremely reliant on my friends and my mom to make trips to the mall for me. They bought nursing bras, tank tops, loose fitting pants, Lanolin… whatever I asked for. It was just as nice as getting a shipment of a popular American sitcom after sustaining yourself for weeks on the only English programming available– Sesame Street. Travelling in Japan could at times require a lot of extra planning and often required me soliciting the assistance of Japanese friends to translate or book things for me. Looking at maps required less reading and more matching symbols and getting lost could be stressful when your broken Japanese made communication difficult. The logistics of moving about freely with a baby require equal diligence, especially in a Canadian winter. In order to be somewhere on time it takes great planning and strategy. The car must be started, scraped and have all the snow removed. Luckily, I have a car starter. So, I can start the car while I work on getting him in to his snowsuit, mittens, hat and car seat. Then I crazily dance about putting on my own coat, boots and mittens to keep him calm and happy before taking him out to the the nicely warmed up car. With a soother in his mouth, I continue the dancing antics all around the car as I wave to him while scraping and brushing snow. I cannot be anywhere without at least 20 minutes lead time. Of course, a diaper bag looks much like a traveler’s backpack (if the traveler expects to be incontinent and drooly whilst travelling), and the bag should always be packed and ready to go. Learning to speak Japanese took the patience of my co-teachers, the inspiration of my new friends and a lot of looking things up in a dictionary. Learning to speak the language of new parents requires just as much help. A whole new syntax accompanies parenthood. We have learned terms we would otherwise not have been familiar, like Ferberize, meconium or colostrum. It was challenging to live in a place where you fumbled with their language, as such, my time in Japan was marked by minor successes. The first time I got money out of a bank machine (by matching the kanji symbols on a piece of paper on which my Japanese tacking partner had kindly transposed words like “withdrawal”, “deposit” and “account number”) I jumped for joy! Likewise, motherhood is also marked with brief hallmarks of success– like the first time I got my son to nap in his crib, as opposed to a long slumber on my chest. And sometimes, it feels as if the long distance phone calls I made that reached across an ocean and several time zones are vaguely familiar to the calls I make now as I try to connect again with my friends– as time can slip by so quickly in our busy lives as we all reach out in different directions. I’m just glad it doesn’t still cost me $1.00 a minute to talk to them.